Howard Schmidt at Evolve 2013. Noting the popularity of early website defacement and DDoS attacks by hackers, Howard Schmidt – a cyber security coordinator who previously served as special assistant to the president – said what was a “tremendous annoyance” a decade ago had become a significant threat both as hackers grew more sophisticated, and as society’s dependence on critical infrastructure increased. Protection of that infrastructure, however, had not kept up with technological advancements – leaving a significant security gap that persists despite growing awareness of state-sponsored attacks and threats from ever more-motivated attackers. 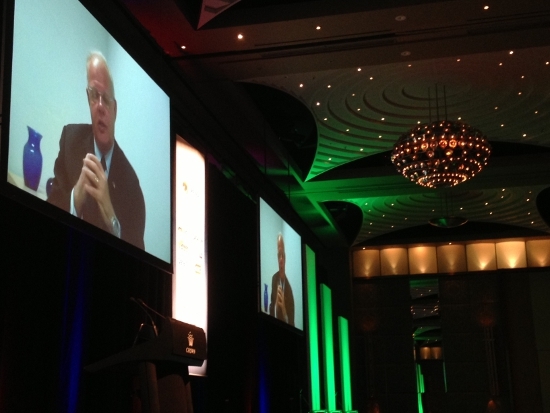 “SCADA and industrial control systems were never fashioned to operate in a secure environment,” Schmidt said via videoconference to the Evolve 2013 security conference in Melbourne today. Trend Micro chief technology officer Raimund Genes relayed the experience of a team of researchers who had decided to test just how appealing an Internet-connected industrial system was. The researchers set up a dummy water pressure control station with a setup that included realistic industrial controllers, then “accidentally” left it connected to the Internet, as happens for real in many real-world industrial installations. Within 36 hours, the dummy installation was being pounded by hackers launching “aggressive attacks” from around the world. Interestingly, Genes said, different countries showed different attack patterns: while the Chinese mainly poked and prodded the systems, he said, American hackers spun up the spinning frequency of the water pumps – and Laotian hackers “wanted to kill the system”. Such risks formed the substance of many discussions during Schmidt’s tenure as presidential security advisor, where low-level security issues came head to head with the broader implications of a society that was becoming increasingly dependent on ever more-automated and IP-connected cars, traffic grids, airplanes, pacemakers and more.